All our work comes with a 10-year Guardian Watertight Guarantee that guarantees our workmanship. This is issued once we receive payment in full for our work. 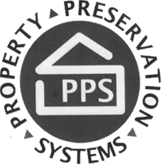 We also offer additional Guarantee Protection Insurance (GPI) through the PCA. It’s extremely unlikely, but if we ever decide to cease trading and something goes wrong with our work another PCA member will rectify the problem. 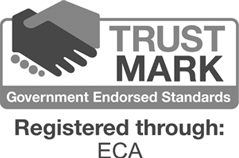 This warranty covers contracts placed with PCA members for domestic premises where the contract price (including VAT) costs between £250 and up to £50,000 and meets the criteria required by TrustMark. Under the scheme, the PCA gives blanket coverage to its contractor members so they can offer a guarantee on behalf of the PCA to cover their customers for work in progress and deposits. There is no additional cost for this guarantee. TrustMark also requires that insurance is offered to support the Guardian Watertight Certificate of Guarantee, in the unlikely event that we cease trading. The requirement is that the long-term insurance should cover a period of six years. But we’re delighted to inform you that the insurance we offer provides cover for 10 years. We detail the cost of the premium within our quotation. You pay a little extra on your premium to get our long term guarantee protection insurance, underwritten by Guarantee Protection Insurance Limited (GPI). 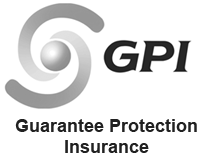 GPI is a UK based general insurer, regulated by the Financial Conduct Authority and Prudential Regulation Authority. It’s also a member of the Financial Services Compensation Scheme and with many years' experience specialises in the provision of Insurance Backed Guarantees (IBGs).